It’s wintertime again. Along with the sub-freezing temperatures come the frequent strong wind and the damp air that can bring risks and hazards to those working outdoors. 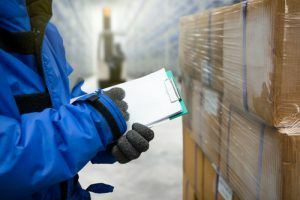 Not only can working in cold conditions decrease performance and productivity, it can also cause cold-induced physical effects such as frostbite, hypothermia, dehydration, and numbness. 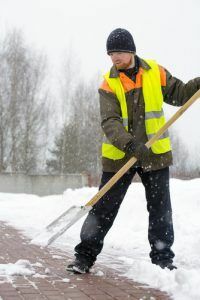 As caution must be exercised to avoid illness or injury, here are some handy tips for safe work in cold weather. To protect themselves from the cold weather, anyone working in colder conditions must dress warmly and use proper equipment (PPE). This includes layers of clothing, footwear, socks, eyewear, and face protection. Dressing multiple layers is preferable to wearing one thicker piece of clothing. The inner layer is intended to insulate body heat. The outer layer must be waterproof or water-resistant, while the additional layers in between should also provide insulation but can be easily removable during temperature change. It’s important to prevent any skin contact with surfaces lower than -7°C and evaporative liquids like cleaning agents at or below 4°C. Wearing protective gloves is a must when working with such materials. In relation to wearing proper clothes, another tip for safe work in cold weather is to stay dry. We tend to perspire when doing physical work, and clothing tends to absorb it. Preventing this moisture absorption is important, as that can get cold quickly or even freeze. Wearing wet clothes will bring down body temperature faster than one might imagine. Wearing inner layers made from polyesters or polypropylene is good, as these will wick the moisture away from skin. Absent of these, one should make sure to change wet clothes to dry ones whenever possible. Staying out too long in the cold brings its own inherent risks. That’s why it’s important to take a small break from time to time, to warm up and prevent numbness and hypothermia. It’s also helpful to keep moving as much as possible, rather than sitting or standing still for long periods, as this allows one to maintain body heat better. Food and drink are also important for safe work in cold weather. Eating enough food at the right intervals will keep the body warm throughout the day. It will also give the energy needed to work in a cold environment with bulky clothes on. On the other hand, drinking often will keep one hydrated, especially during vigorous work. Still, it’s better to keep away from coffee (though tempting) and alcoholic drinks (obviously never at work, but even drinking the night before work can cause complications) because they contribute to dehydration. Instead, soup or other hot beverages are preferable to help keep the body warm. Keeping anti-cold equipment as part of an overall safety or first aid kit will also help a lot to regulate body temperature while working in winter. Have a thick blanket ready. If a vehicle breaks down or loses heat, it’s good to have matches and candles to light and help bring up the temperature inside. Lastly, portable heaters are good for suitable indoo spaces, and can help staff warm up after a period of working outside. These tips for safe work in cold weather can help your team work well this winter season. 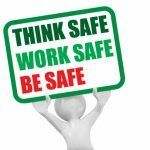 If you need more information about keeping your workplace a safe environment this time of the year, contact Advanced Consulting and Training Ltd. We provide safety training and consulting services that will help companies keep their workers safe from cold-related diseases and injuries. Call us now and prioritize safety in your workplace this winter.